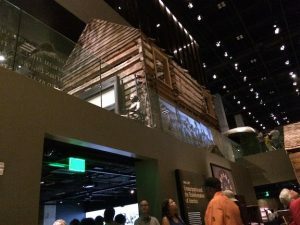 The NMAAHC wisely began the experience before there was a building, a site, a blue print. 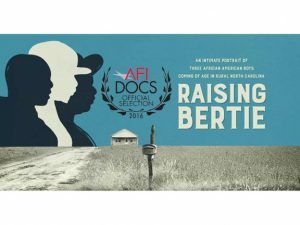 A museum without a building, without a collection, unveiled exhibits in other Smithsonian buildings, reaching out in an “Antiques Roadshow” fashion to communities and people with storied stuff, as well as aggressively raised its mission monies through private philanthropies, charter memberships, public funding etc. Lay down the tracks and the train will come. When my email invitation arrived for charter members to get timed passes to preview the NMAAHC I signed up immediately. For those who weren’t as quick on the draw, the museum issued more passes to meet the immediate demand. As a resident of DC, I’ll have more than one opportunity to visit the museum. I’ve even seen it in its shell form during a hard-hat tour. 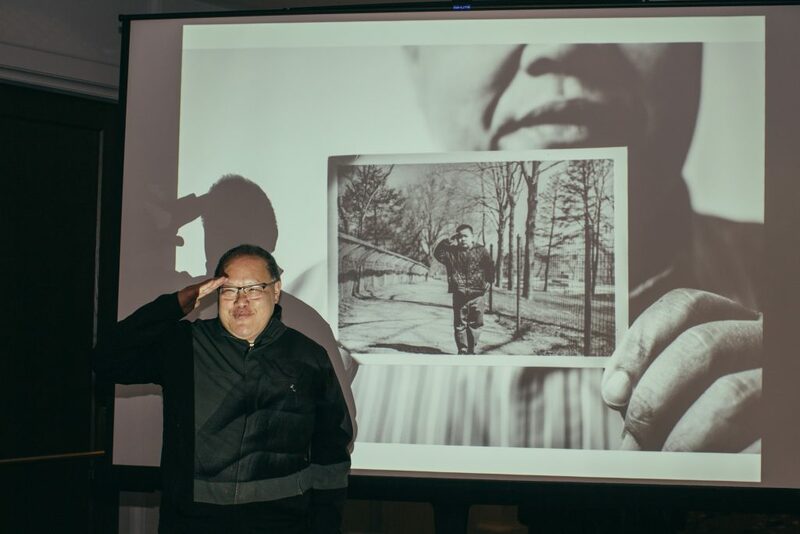 Nevertheless, I framed this experience in the question “Where is the narrative taking us?” An experience usually involves some sort of physical, emotional , spiritual, and/or intellectual journey. 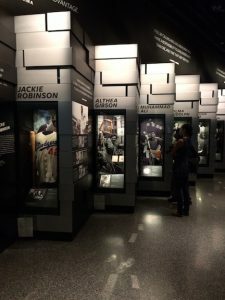 It’s only fair to the efforts of the NMAAHC’s builders to make this post part 1 of a 2 part reflection. I’ll return to the museum (perhaps twice) to see what I may have missed in this post and where things finally settle. 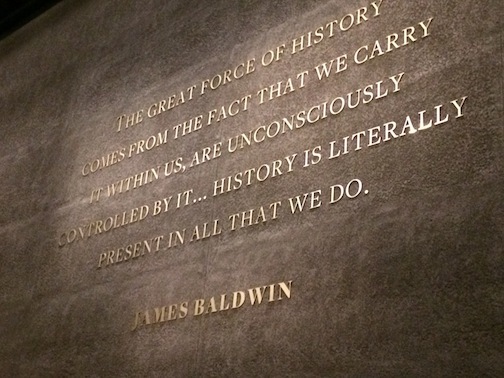 From the beginning I knew I couldn’t take in everything at the NMAAHC in a single visit. I spent over 3 hours in the building looking at objects, reading texts (lots of text), watching 5 minute video projections. If I’d been on my lunch break from work I would only have time to see one, maybe two galleries. If I was visiting from out of town, I’d have to devote at least a single day to a first-time visit. For this visit, I decided to pay attention to what instantly caught my eye or popped out, triggered a memory, and the featured choices the museum made to lift up a pivotal historical moment or person. The narrative begins on C3–down below ground level with the History galleries. To get to that level I had to take the escalators and an elevator. There are no windows, no natural light. The story unfolds with the transatlantic slave trade. Like being in the belly of a ship during Middle Passage the galleries for this part of the exhibit are dark, narrow especially when so many people are trying to see the related objects and read the texts. The air is still. Granted, there is still work to be done in all parts of the museum for the opening. I would say this part of the exhibit is practically finished. A lot of ground work was already done. C-3 highlights the principal European players in the slave trade – Great Britain, Portugal, The Netherlands, France etc. Once the transatlantic slave trade is abolished, Africans were bought and sold on the domestic market. Then comes the American Revolution; the fight for freedom and independence from Great Britain. The fight for Independence occurred on many fronts. It brought freedom for some, not others. Though at least one sentence of text mentions that enslaved Africans fought on the side of the British in exchange for their freedom, the emphasis is placed on the persons who fought with the “patriots” for independence from the crown (not necessarily their own freedom unless they were already “free” with walking papers – also part of the collection). Here’s where I felt the need for a larger freedom narrative that showed where African Americans cast their lots even if it meant wearing a red coat. In either case, the fight for freedom proved to be a bloody mess. The museum’s narrative for the African American experience fits comfortably into the dominant narrative of American history. African Americans want freedom and the bill of goods or rights promised in those founding documents. This is not a story about the struggle for diversity but inclusion. From C3 a series of ramps takes you to the Domestic Slave trade, and the lives of enslaved Africans including a an actual slave cabin. The abolitionists and Harriet Tubman’s shawl (one of the director’s prized acquisitions). The Civil War and the fight for Emancipation from slavery. A brief but poignant moment for Reconstruction and the election of the first Black members of Congress. 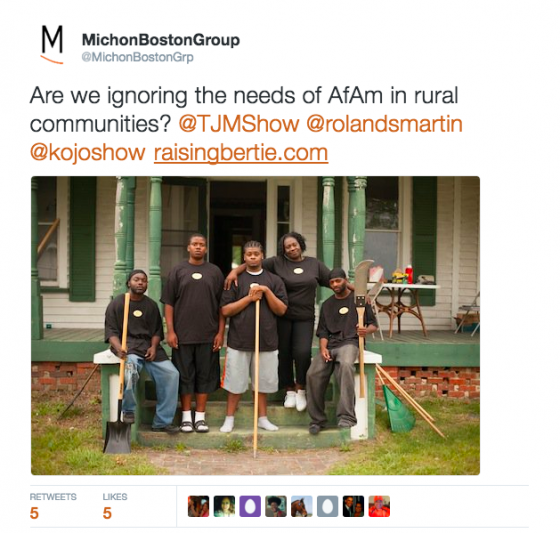 Jim Crow, and the domestic terrorism of lynch law. The KKK is represented with just the hood, not the cloak. That’s more than enough for me. The journalist and anti-lynching crusader Ida B. Wells enjoys 3 displays in this section including her most famous publication “The Red Record.” She even shares a display with publications by Booker T. Washington, W.E.B. Du Bois. – a debate you’ll have to look up on your own to fully comprehend this display. People on the move during the Great Migration from the South to the industrial North. I’m moving on up the ramp to …The Civil Rights Movement. Poor Peoples Campaign with a section of the wall from Resurrection City. The men and women of the movement are there. And then movement seems to pause at Black Panther Party of the 1960s and 70s. I turn around to see Anita Hill in her blue suit during the Clarence Thomas Supreme Court Confirmation hearing (the 80s). Ferguson. Then my eyes witness history in a media mosaic of celebrity faces from syndicated and network television. Did I take a wrong turn somewhere? What was the struggle for? At that point I feel the need to lie down on Oprah’s couch – still covered in its storage wrapping. There are no more ramps. It’s time to find the escalators that take you to the upper galleries. Education, Military, Sports share one floor. Sports takes up an impressive section of the floor. More Olympiads to add to the distinguished roster from the 2016 games. Arts, Media, and Culture take the top floor. I go to the top floor first. My head is swirling and so are the video images of famous faces (btw without names no one will know) on the final gallery floor as you sit in a donut shaped rest area. It’s great that there are plenty places to sit and rest your feet or contemplate. You’ll need it and it’s helpful for elders and persons with mobility limitations. On the arts and culture floor, Oberlin alumna Dr. Johnetta B. Cole is being celebrated for fashion and educational leadership as the first woman president of HBCU Spelman College (as well as being the director of the Smithsonian National Museum of African Art). I didn’t see Mary Jane Patterson’s face, another Oberlin alumna, who was the first African American woman in the world to earn a Bachelors (A.B.) degree (1862) from the first institution of higher learning to admit students regardless of race, as well as the first Black and woman principal of a prominent high school in Washington, DC. (Disclosure: I’m an Oberlin alum so this naturally pops out for me.) Cole and Patterson are on the same page and can be on the same floor. I did find an exhibit on Place very interesting. It was tucked inside the Education displays. When I think of African Americans and place, I think of family reunions, holidays, neighborhoods. I hadn’t factored in prisons as part of that narrative. That’s represented here. In this experience, how many African Americans can say they haven’t been visited by or in the prison system. This is a space I will return to comprehend the museum’s intentions. I go back to the top floor to take a second look at the small display of food culture. Like a guest at Thanksgiving who gets turkey with no gravy, I only see what I’m missing. September 3, 2016 Vertamae Smart-Grosvenor, NPR culture correspondent and to my knowledge the first African American to host her own cooking show on national television (PBS), passed away in New York. She was the Gullah GeeChee girl in Paris. She was always up in somebody’s kitchen. She was missing. I felt her loss more intensely at that moment. The Music room is light and bright with costumes, instruments from classical, blues, folk, hip hop, rock, funk, a little jazz, and Chuck Berry’s red Cadillac. Coming up close on Parliament Funkadelic’s mother ship, the Beyonce generation may wonder what all the screaming was about. This goes back to the “experience.” Jimi Hendrix can’t be experienced by his vest alone. But I digress. Visual Arts is almost a world unto itself. It is in the traditional display format and comforting from some of the over stimulation of the media-based exhibitions. The art speaks for itself. It’s a beautiful room with works by traditional and contemporary artists — Romare Bearden, Betye Saar, Renee Stout. I hope the art collection continues to grow. For theater, August Wilson’s “The Piano Lesson” piano is there. I’ve seen that in production, and costumes from Ntozake Shange’s “For Colored Girls…” Lorraine Hansberry’s “A Raisin in the Sun” of course. And there’s Ossie Davis and Ruby Dee’s image on the wall. A lot is missing here for me from regional theater, or even “The Blacks: A Clown Show” by a French playwright and a pivotal moment for African Americans in theater (Cicely Tyson, James Earl Jones, Maya Angelou, Roscoe Lee Browne, Louis Gossett, Jr.). But there’s little space and I’m sure this will be a rotating display. For now it appears only a Broadway production qualifies for the display. London counts too. 19th century thespian Ira Aldridge is here. Dance comes in all forms from film, the streets, the stage. I see a poster from Dance Theatre of Harlem’s Giselle, (those were silk screened by hand back in the day), ballet shoes, bodies in motion. Dance definitely should be experienced feet first. I saw one of Bill Cosby’s comedy records on display; another friend reported seeing him on a magazine cover – Jet maybe? “The Cosby Show,” a landmark television series on many levels didn’t get a prominent treatment in this preview’s media space. BTW did I miss the Million Man March downstairs and Nation of Islam (NOI) Minister Louis Farrakhan? Were they there? The NOI is represented in the museum by its founder, Elijah Muhammad including his chair — far from Oprah’s couch. The gaps may be intentional for the NMAAHC. 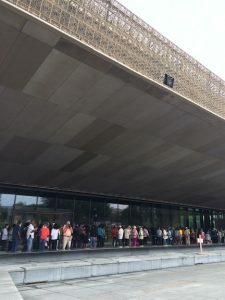 Small and regional African American and community museums had expressed concern that NMAAHC will be the mother ship for housing all the significant artifacts and stories of the African American experience. But I believe the builders didn’t have that in mind. There’s also the school of thought that a museum created by an act of Congress to build and open its doors has to avoid controversy by not speaking too many truths to power before the first shipment of gift shop t-shirts are unpacked. There will be space. There will be changes. There will be commentary and places in the museum where you can record impressions – a 21st survey to measure impact. 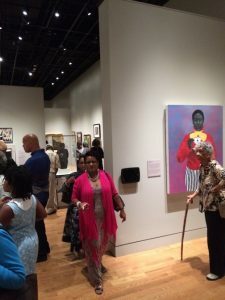 The smaller and regional museums are more important than ever to fill in the spaces of this evolving narrative, and bring depth to the context of the mosaic that is the reality of being Black in America especially in the last 50 years. NMAAHC is challenged in that respect. One museum can’t do it all. There are also many opportunities for collaborations within the Smithsonian institution, if they can and will play well together. The museum docents are going to be essential in connecting the dots and bringing additional context to the experience. Programming plays an important role too, the kind of programming that will make you leave your sick bed. 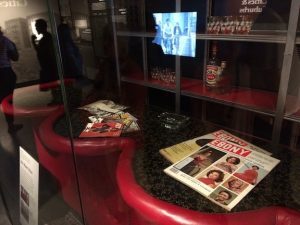 Hopefully, as the museum begins to fine tune its narrative and displays, it will pull itself away from resembling an Ebony and Jet magazine archives. BTW Ebony and Jet are part of at least 3 displays. As my eyes were greeted by the light of the top floors, I could see the bottom line in play and it was disorienting. “Disorienting” may be the operative word for the first 25 years of this century. Who are the monetary donors who need to see the fruit of their gifts opening day? I know there were many proud donors of objects in the building during the preview weekend. They are feeling good as they should. It was great seeing the work of friends and even my small effort in getting an object into one of the displays. As is the American experience, the NMAAHC is a great work in progress; a fantastic second draft as is. It is not finished. This museum put itself on an ambitious schedule to open its doors while the first African American POTUS is still in the White House to create the great media moment that will be included with other media moments in the museum’s collection. But where is this narrative taking us? To pose for a selfie with Harriet Tubman’s shawl? Or with Chuck Berry’s red Cadillac. This has become the challenge for museums and our times. You’ll find me sitting in the NMAAHC’s John Hope Franklin contemplative court after my next experience. This post has been modestly updated to add Ira Aldridge. He caught my eye. To be honest, I rarely attend performances by The Washington Ballet for the dancing. I show up for the theme — a favorite musician, novels and stories, or band. It was no different with the company’s recent and last performance under Septime Webre‘s artistic direction yesterday at the Kennedy Center titled “Bowie & Queen” (the late great David Bowie and Freddie Mercury tracks). One of the challenges I’ve noted with Washington Ballet is the company’s ability to connect on a soulful level with the choreography and music during a performance. Bowie & Queen is the exception. The company has found its groove and soul. And choreographers Edward Liang and Trey McIntyre have given me a reason to show up for more than my favorite rock and roll music. 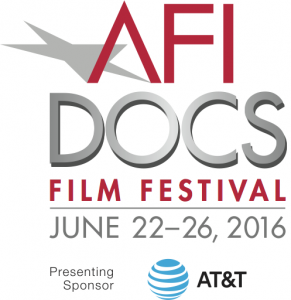 The program was organized into two 50 minute segments separated by an intermission. Liang’s “Dancing in the Street” features David Bowie’s early music “Good Morning Girl” and “I’m Not Losing Sleep” in addition to original music by Gabriel Gaffney Smith commissioned by the Washington Ballet and performed live by violinist Machiko Ozawa and cellist Suzanne Orban. This was an uplifting ensemble piece on all levels from the music to the dancing, to costuming by Erin E. Rollins. The second half, “Mercury Half-Life” evokes the spirit of Freddie Mercury from the first tap dancing steps on the stage by a male soloist. I was half joking before the show when I said I hope they include “Bicycle Race.” Yet there it was. Less experienced choreographers can go for the literal, but Trey McIntyre went for the rhythmic not only in the instrumental but the vocal. Dancing to the words may not look cool in the club, but it works for ballet. Or perhaps the genius is in the musical abilities of Freddie Mercury and the band Queen in making vocal music both melodic and rhythmic. Ballet is reaching new audiences thanks to the vision of persons like Septime Webre. He and others are breaking with with the pink tights and toe shoes aesthetic for brown, black, beige, dancers of different hues, trainings, even body mass. Before the performance I talked with the mom of a ballet school student. She voiced her concern about the direction of the Washington Ballet school and company after Septime (who’s stepping down in June after 17 years to focus on choreography). For some parents and students this can be interpreted as code for a purely European body and artistic aesthetic. The mention of Balanchine can send chills down some dancers’ spines. 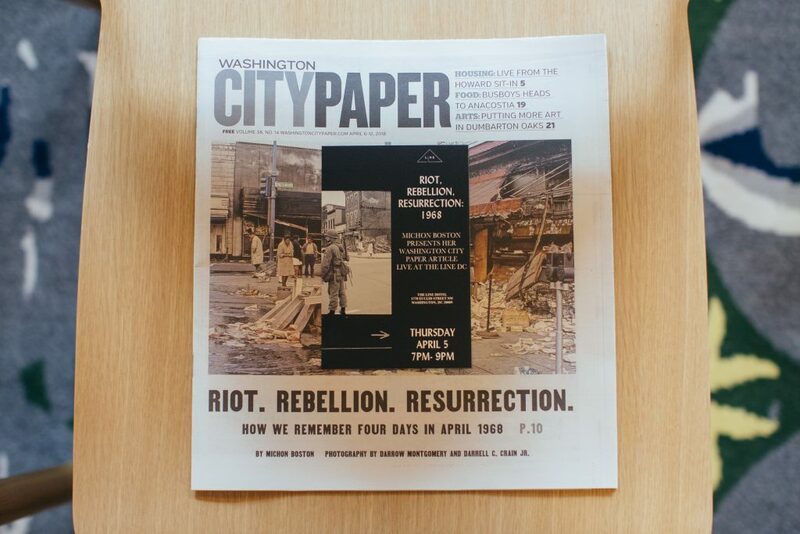 Founded by Mary Day 40 years ago when DC was “chocolate city”, Washington Ballet stayed inside its bubble with not as much as a glance at the city’s resident majority. [Black and brown girls went to Jones-Haywood.] That seemed to change after Septime Webre took the helm following a soul-searching trip for him and the company to Cuba in 2000. [Septime is part Cuban.] I got wind of this trip from a filmmaker who documented the experience. When the company returned and presented some of the footage and stories about their visit to Cuba, one of the highlights Septime shared was an observation that Ballet Nacional de Cuba’s optics reflected a European preference and did not reflect the country’s people, i.e. no Afro-Cuban dancers. After raising my hand, I politely commented, “the same can be said for Washington Ballet.” Either the then new artistic director Septime and the institution had already set the wheels in motion, or a light went on at that moment in the Corcoran School of Art’s auditorium. Washington Ballet wasn’t the same since. For the sake of students inspired by ABT’s Misty Copeland and the dancers I saw on the stage for Bowie & Queen, I hope Washington Ballet will continue with their “both/and” approach. The dancers are connecting. And based on the nearly sold-out attendance Sunday, so is the audience.